Water Is Leaking. Protect Your Home From FLOODS! FLOODS are truly one of the worst experiences that can happen to homeowners! We want to help you avert any damages caused by flooding. If you notice any signs of water leaking in or around your home call the leak detection experts at Pure Plumbing! We provide premiere plumbing services to Summerlin, Henderson, and the greater Las Vegas area. Preventing a flood is something every homeowner should do. Whether it is replacing an old water heater, repairing a pipe fitting, or simply replacing your emergency shut-off valves, Pure Plumbing can help with any plumbing repair. If no one is around to notice a severe water leak it can result in severe damage to the property as well as ruining a family’s prized possessions. If you notice sings of a water leak the first thing you should do is shut off your main water supply valve. It is good practice to periodically open and close your main water supply shutoff valve. This is necessary to verify that it is working properly in case of an emergency situation where the water to the entire house needs to be shut off. 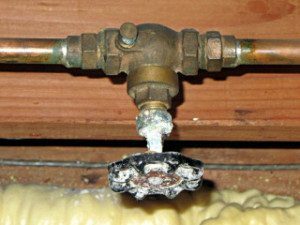 Emergency shut-off valves are one of the most important devices in a home’s plumbing system. 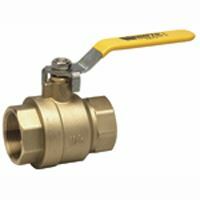 If anything goes wrong with the system these valves can greatly reduce the amount of damage that occurs to the home. 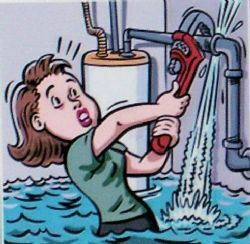 Every fixture in the home that is supplied with water should have an emergency shut off valve. For example, they can usually be found at the base of your toilet, under your sink, or any lavatory sink. The main shutoff valve for a home is very important as well, and highly recommended by Pure Plumbing. The image on side is a gate valve that is in need of replacement. Pure Plumbing does not recommend using gate valves in general, but this particular one is badly corroded and calcified, it should be replaced immediately. If you have a gate valve in this condition or something similar Pure Plumbing can replace it with a more effective ball valve. If you have any questions regarding emergency shut-off valves or any other plumbing issue feel free to contact Pure Plumbing at (702) 710-7388.